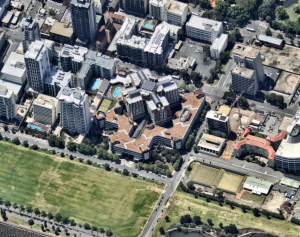 The Hyatt Regency Hotel in Perth recently received approval for a development application proposing a suite of asset enhancement initiatives. The enhancements also include improvements to the existing car park layout and circulation. These are standard conditions that City of Perth imposes on similar developments and Transcore has significant experience in dealing with and addressing these conditions. Transcore has extensive experience in preparing these plans for other similar developments in the City of Perth, including but not limited to, the QT Perth Hotel under construction in Murray Street, the Intercontinental Hotel redevelopment in Perth and the redevelopment of Raine Square. Transcore is therefore familiar with the typical requirements for these plans for hotels in the City of Perth.